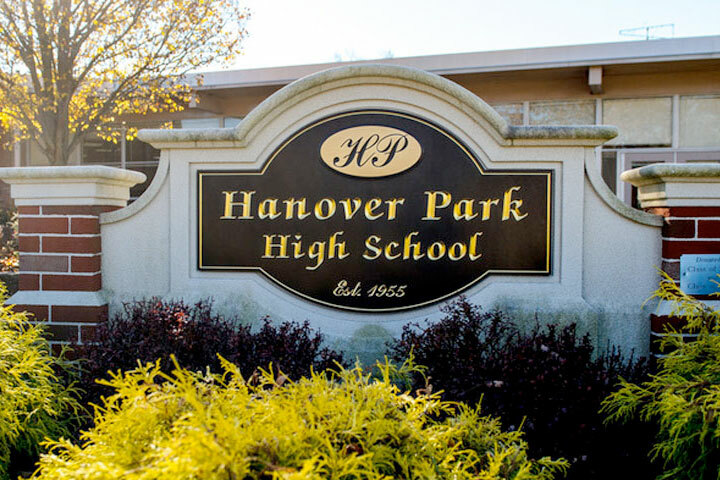 EAST HANOVER — Thomas J. Callanan, Principal, Hanover Park High School releases the results for the Second Marking Period which ended on Friday, February 1. The district honor roll is based on the grade point average a student earns during each marking period. Three levels of honors are recognized on the basis of grade point average. Distinguished Honors — Grade point average of 4.00 or above for the marking period. High Honors — Grade point average of 3.50 to 3.99 for the marking period. Honors — Grade point average of 3.00 to 3.49 for the marking period. In order to be eligible to receive honor roll recognition a student must (1) be enrolled in a minimum of five courses (class periods), (2) receive a grade of B- or better in each course taken, and (3) receive a Pass (P) in any courses taken on a Pass/Fail basis. Any incomplete grades will temporarily render a student ineligible for Honors until the incomplete is made up. Kelly A Adamski, Mhdey Alhayek, Nana Anokye, Miranda Asral, Hannah Beckett, Dilon Bruncaj, Brandon Armani Budoo, Claire Hovey Cahill, Michelle M. Chirichiello, Camryn R. Coffey, Emily T. Da Cruz, Hagop Vahagn Dayermenjian, Isabella R. Durante, Christopher J. Fagan, Olivia Rose Gahwyler, Jennifer L. Galdieri, Emma E. Garibian, Jenna N. Glinko, Hannah C. Gu, Evan Anthony Iandiorio, Kevin Michael Julich, Sarah E. Lombardo, Isabella LoRusso, Jessica Rose Lukasiewicz, Julia M. Martire, Hailey M. Messina, Rachel Erica Mueller, Sarah Anne Perlman, Michael A. Rigillo, Philip Anthony Rispoli III, Lani A. Sabeh, Rishi R. Shah, Kelsey Alison Stites, Kristen V. Stox, Debra Xu, Richard Xu, Alphan Yang and John Zhu. Lily M. Ackerman, Christina M. Binetti, Isabella Medeiros Cocozza, Alyssa Rose DeRogatis, Domenic P. Difrancescantonio, Lindsey D. Fitzgerald, Olivia Foti, Domenick V. Guarino, Emily Paulina Hernaiz, Jack D. Lawler, Camilla Levran, Joseph S. Loffredo, Kristina M. Longo, Katherin Lopez. Alexander Malofienko, Jr., Jeanan M. Mokhemar, Michael Monaha, Samantha Jay Montuore, Amanda L. Nisbet, Michael G. Papaianni, Julia Marie Peters, Nicole M. Ribeiro, Victoria Ann Rossi, Houda M. Sabeh, Brittany A. Scott, Laura Noelle Silva, Lauren Marie Solano, Isabella L. Tate, and Martina L. Wulf. Giuliana Caravella, Catharina Medeiros Cocozza, Theresa Colegrove, Gina N. Decroce Carmine James Florio, Maxwell James Lockhart and Daniel Palmieri. 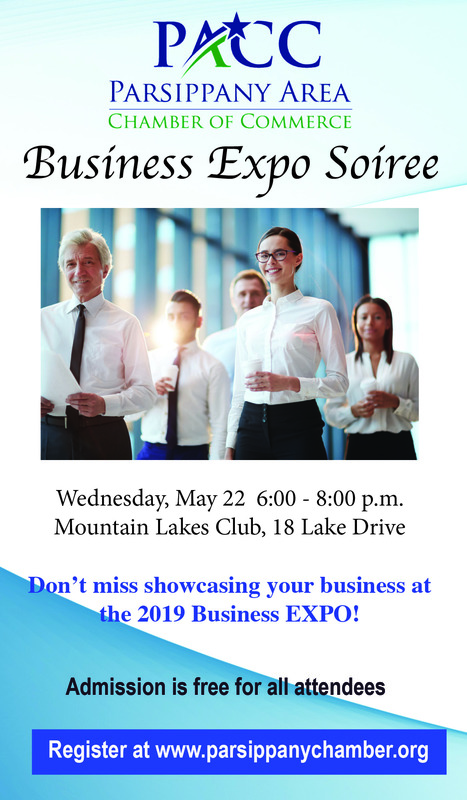 Rania Manar Benatia, Kierstyn Mackenzie Biondi, Megan L. Bright, Eian J Carbone, Sophia G. Castaneda, Ashley Chen, Alexandra Collins, Ava L Costa, Lauren Cunningham, Ryan Dominguez, Annabel L. Ellis, Zhi Xuan Gao, Valerie R. Gargiulo, Daniel Samuel Gore, Kiera Haemmerle, Benson Har, Laila Hassanien, Kristin M. Hoberman, Jason Hwu, Michelle N. Jandoli, Brielle L. Junda, Kyle J. Junda, Leah J. Kamenski, Emma Karpinski, Jeremy F. Lai, Michael Lawton, Victoria A. LoPinto, Gianna A. Marano, Francesco Marinelli, Jr., Philip Mascaro, Jack Mitchell, Kara L. Motsch, Ryan R. O’Malley, Daniella Palladino, Katie Piedade, Kathryn A. Prout, Mara Pusic, Ryan Christophe S. Quiogue, Isabel Marie Ramos, Samantha M. Rigor, Madeline Sellinger, Angelo P. Tedesco, Hannah TenBroeck, Gianna Tito, Jacqueline Lillie-Louise Tobias, Ania Tureczek, Tomek Tureczek and Veronica Zielonka. Isabella Acosta, Kayla Acosta, Nicole Ahearn, Gabriel T. Biarsky, Daniella Carbone, Andrew Cohorsky, Marissa Convery, Melissa Coto, Conor Curtin, Alissa Dorey, Marianna Ferrantelli, Gianna Foti, Nicolette Foti, Kayla Genoese, Gianna M. Hartigan, Jordyn Paige Iuso, Andi Kovacs, Joseph Lawton, Lauren E. Martinez, Alexander J. Masi, Isabella Maugeri, Jennifer L. Pinadella, Matthew Pizzano, Molly Elizabeth Powers, Grace Reynolds, Michael Salzano, Kaitlin A. Santoro ,Rayah Awad Suleiman, Senay T. Teshome and Robert Michael Treiber, Jr.
Jennifer Cerezo, Joseph DePhillips, Jennifer Cerezo, Joseph DePhillips and Colby Shmuler. Ashley C Alfano, Olivia E Algieri, Christopher Anthony Bartlett, Isabelle Flora Belenky, Victoria N. Boze, Linda Bruncaj, Julilanna Canzonieri, Raquel S. Carbone, Bennet Christopher Chang, Andrew Phillip Cincotta, Carina Hope Cooke, Lily Corbett, Amanda Jennifer Cucciniello, Christina Nicole Daniels, Giorgio Della Grazia, Fallon Duffy, Lauren Duffy, Medina Rosanna Dzhatdoyev, Devon Patricia Fagan, Marina Rose Farinhas, Angei Fernandez-Salis, Nicole Tortas Ferreira, Kevin Scott Foerster, Mark Allan Foerster, Gerald T. Foley IV, Youssef Galal, Joseph Vincent Galdieri, Ava Gallo, Melinda Diane Genberg, Bryanna Faith Gerben, Anthony Giorgi, Auden S. Gu, Julie Ann Halma, Bryant Jefferson, Har Carys Hirawady, Audrey Ruth Hoffman, Michelle Maria Jacob, Cynthia Ann Jemas, Joshua John, Alan M. Joseph, Nitish Reddy Kasarla, Anna S. Katz, Alex Kleiman, Zachary Aaron Kleiman, Benjamin Kunze, Nicholas Joseph Lago, James Edward LaRosa, Caroline Lee, Daniel Lee, Sarah Elizabeth Leitao, Frank Thomas Lukasiewicz, Vincent R. Madera, Sophie McCarthy, Grace Mochnal, Andrew John Modrowsky, Brian Francisco Mullen, John M. Mullen, Dylan O’Donnell, Axel Nicolas Ognar, Victoria Perlman, Hailee Faith Posnock, Honey Prajapati, Nicholaus A. Ranco, Gabriel Maria Rojas, Danielle Patricia Sambogna, Julia Maria Santos, Tyler Edward Sawyer, Hailey Scaff, Lauren Schiffman, Shivam R. Shah, Jesse Simmons, Frank Gerard Simpson, Alexander M. Stanczak, Kathleen Juliet Stox, Cean Velasquez Tenorio, Shayla Thach, Justin Tuli, Laurie Vuong, Michael Anthony Walters, Jeffrey Colin Zhang and Martyna Wiktoria Ziemba. Michael Raven Barnett, Ryan T. Berberian, Eliza Bruncaj, Andrew James Bruns, James M Canzonieri, Joseph Anthony Caracciolo, Thomas Matthew DeLorenzo, Giorgio Della Grazia, Joseph R. DiFrancescantonio, Thomas Dunham, Isabella Feeney, Gianna Ashley Francis, Gia Galante, Joseph P. Gibilisco, Lindsey Alexa Giordano, Gabrielle Kristina Guzzi, Kimora Johnson, Carmela Alissa LeRose, Andrew Lugo, Angelina M Luisi, Dominic Amedeo Mancini, Alexa Rosa Minniti, Christopher Mitchell, Christopher Peter Nash, Brianna Rose Nuciforo, Samuel Oduwole, Joseph John Olivieri, Brian Francis Olveira, Raichell Quevedo Echevrria, Samuel Armando Quinones, Jaime A Raibick, Wendy J Rivera, Peter Sodano, Mahdy Awad Suleiman, Maksim Vasilyeu and Raymond Zhu. Abigail Maria Bowman, Gabriella Maria Cerese, Thomas DeFrancesco, Deanna V. DiMaiolo, Owen Reece Feldman, Joseph Leonardis, Kathryn Elizabeth Pridham, Francisco James Salas, Alexa Caroline Yannuzzi and Leo Tonghua Zhao. Jeremy William Hilden, Samantha Howden, Abigail Aiming Huang, Jonathan Joseph Iandiorio, Sabrina Aurelia Incognito, Tessa Ann Joseph, Edward Benjamin Karpinksi, Jasmine A. Krawczuk, Sandy Mijin Kwon, Christopher G. Larena, Daniel Lei, Christian V. Loparnos, Ava Selina Lorette, Meghan Lowinger, Emma Lynch, Avery Macko, Vanessa Michele Martinez, Matthew Justin Martire, Valerie Marun, Abin Thomas Mathew, Dominique Mercadante, Benjamin P Monks, Larissa Michelle Motsch, Tara M. Murphy, Kaitlin Niu, William Olszewski, Sapna Patel, Julianna L. Pedrazzi, Christian Paul Peterson, Dana Ann Pinadella, Alyssa Merryl Pomante, Pooja Harini Prabu, Anna Grace Rack, Natalie Rose Ribeiro, Sarah F. Rocha, William Chance Sacher, Lucia Sciarrone, Daniel Gregory Sherman, Sydney Stavraka, Sarah TenBroeck, Antonia Ucci, Sara Daniella Viegas, Sofia Alexandra Villaluz and Owen Christopher Winters. Eshita Ajvalia, Alyssa Bassolino, Kamryn R. Cardone-Tamburello, Adriana Carter, Gianna Maria Cicalese, Bradley Anthony Cicco, Shiloh Rose Colongon, Michael Gerard Corsi, Alexandra Marie DeSimone, Matthew Dirlam, Gavin Ronald Dower, Michael Filippone, Isabella Bianca Florio, Isabella M Gongora, Jamie Michele Iantosca, Mackenzie Rae Lalor, Dylan Larsen, Paul Alan Larsen, Monica F. Lee, Vanessa Londono, Munez Khalil Na Love, Stephanie R. Maccario, Ava Nicole Marinelli, Sarah Gabrielle McGinnis, Liana Avery Mendez, George Thomas Nisbet, Erin Grace Peters, Julia Oliveira Portella, Natalie Rose Quintino, Jake Robert Rinsky, Vincent Giuseppe Rispoli, Jenna Nicole Sawyer, Jake Harold Scharfstein, Nicholas Ryan Sherwood, Louis A. Siciliano, Isabella Tango and Isabella Marie Valenti. AngeLena N. Auriemma, Francesco Joseph Barisciano, Brett Alan Behre, Saniya Kayla Biggs, Ethan V. Coffey. Dominic Frank DiGrazio. Sophia Marie Fortier. Finlay Lyall Kirkwood, Sean Richard Mack, Caleb James Minkowitz, Ethan Steig and Drea N. Vitulli.